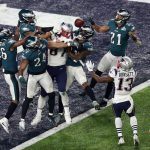 As if the US wasn’t sports-crazy enough, TV ratings for sporting events could soar even higher thanks to the emergence of legalized betting, according to the results of a new poll by Seton Hall University. The new survey by Seton Hall Sports Poll suggests that 70 percent of Americans would be more inclined to watch a game if they were able to place a bet on it. The poll included responses from 741 adults who were asked about legalization, game integrity, and their potential participation in sports betting. On the latter topic, it turns out that the majority of respondents would be much more willing to turn on the TV and watch if they had a little skin in the game themselves. “Watching is the first step towards creating a paying fan,” said the poll’s director, Rick Gentile. The increased interest in sports betting attitudes comes in the wake of a Supreme Court decision which allowed individual states to create their own legal framework around creating sports books. Some 40 percent of respondents said they were in favor of that ruling. Age played a part in how those who took the survey weighed in. Nearly nine out of 10 respondents (88 percent) of those in the 18-29 age category — a key demographic for advertisers — claimed that they would be more likely to tune in if they had money on the line. Several of the other topics covered also fell into age-related differentials as well. Asked if sports betting leads to gambling addiction, just five percent of those between the ages of 18-29 answered yes, while six times as many respondents over 69-years old (30 percent) agreed that it did. On the question of whether those surveyed would place a bet on a mobile device, 64 percent of the younger group said yes, a number that dropped down to 40 percent across the entire sample. Men were also much more amenable to the SCOTUS May ruling that opened the door to state-by-state legal sports betting. Some 52 percent of men were in favor of the Supreme Court ruling compared to just 28 percent of women. 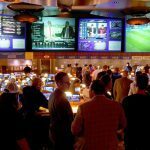 Those numbers are in line with an October survey which showed that 47 percent of Americans support legal sports betting. Just because the majority of Americans are more willing to watch sports in this new landscape doesn’t meant they aren’t concerned about what they’re viewing. The majority of people polled harbor concerns about the integrity of the games, with 61 percent answering that they believe gambling could ultimately end up in the games being fixed. 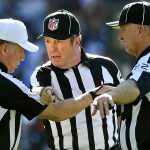 How the NFL reacts to that public perception will be crucial for the industry going forward, and stakeholders are taking active steps to address those attitudes. Last week, MGM and Caesars were among the groups who formed the Sports Wagering Integrity Monitoring Association (SWIMA). 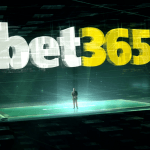 The network will monitor betting activity across the country to help spot and report any suspicious betting activity that pops up.